What Animals Live In The Grand Canyon? Poisonous scorpions, deadly snakes, apex predators, birds-of-prey, docile deer, and mysterious bats all call the Grand Canyon home. 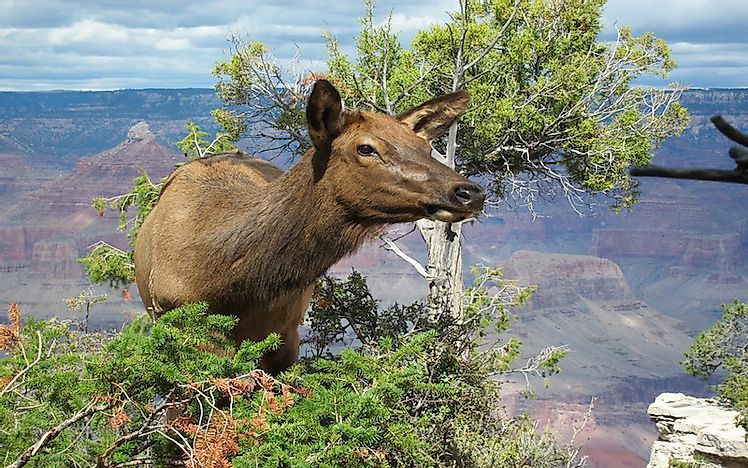 An elk grazing on the vegetation at the Grand Canyon. The Grand Canyon is one of the Seven Natural Wonders of the World and is the central feature of the Grand Canyon National Park. The Grand Canyon is famous for its stunning landscape and is thus visited by tourists from the world over. The Grand Canyon is also home to a varied collection of flora and fauna. Some of the notable species living in the Grand Canyon include the mountain lion, California condor, Grand Canyon rattlesnake, black-widow spider, big-horn sheep, 22 species of bats, and more. 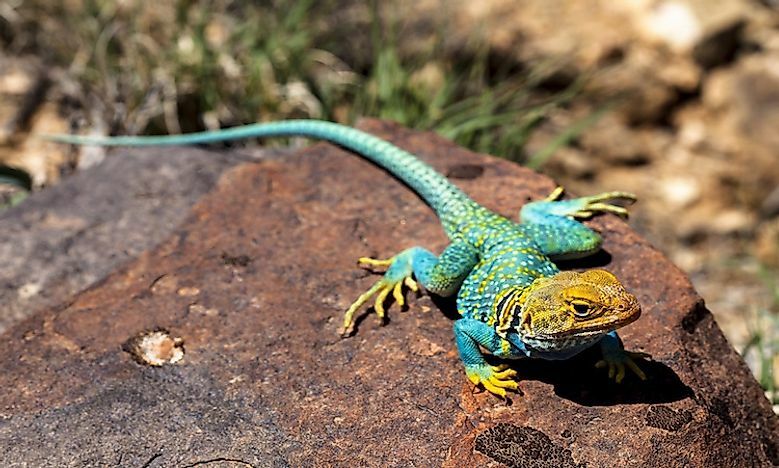 Lizards like the eastern collared lizard (Crotaphytus collaris) inhabit the Grand Canyon region. The collared lizard is the largest species of lizard in the country. The length of these lizards ranges from 8 to 14 inches. They have large heads and powerful jaws. These lizards live in the middle to lower elevations of the Canyon habitat and are not harmful to humans. Another species of lizard, the Chuckwalla lizard is also found dwelling in the Grand Canyon. The Chuckwalla lizards usually seek shelter in the rock crevices of the Grand Canyon. They are elusive creatures that usually shy away from human visitors to their home. The ringtail (Bassariscus astutus) is a mammal belonging to the raccoon family and is found in North America’s arid regions including the Grand Canyon. 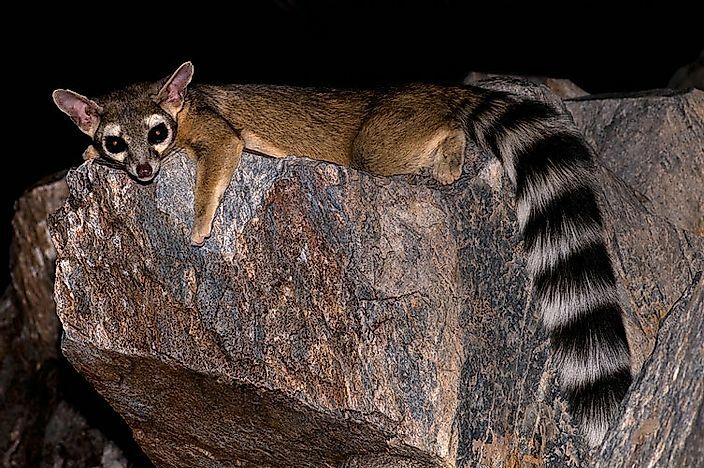 The ringtail cats are usually nocturnal, foraging for food in campgrounds or preying on rodents in the wild at night. When threatened, they produce a foul smelling gas to ward off attackers. The bighorn sheep (Ovis canadensis) is a native of North America and is noted for its large horns which can weigh up to 14 kg. 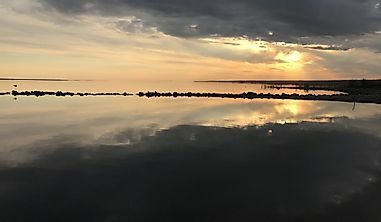 It is believed that the ancestors of this species arrived by travelling through the Bering land bridge from Siberia to North America. The sheep occupies a special position in the mythology of the Native Americans. 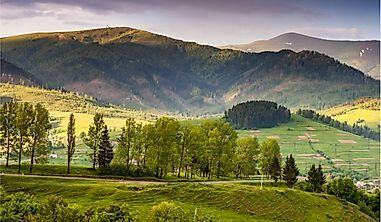 Although the population of the sheep multiplied exponentially over the years, European colonization of the New World led to a dramatic downfall in the population of the bighorn sheep. 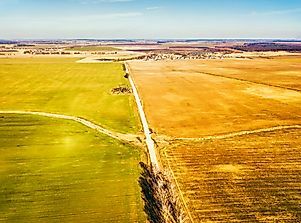 The decline was due to overhunting and competition for grazing land with introduced livestock, and exposure to diseases to which the animals lacked immunity. 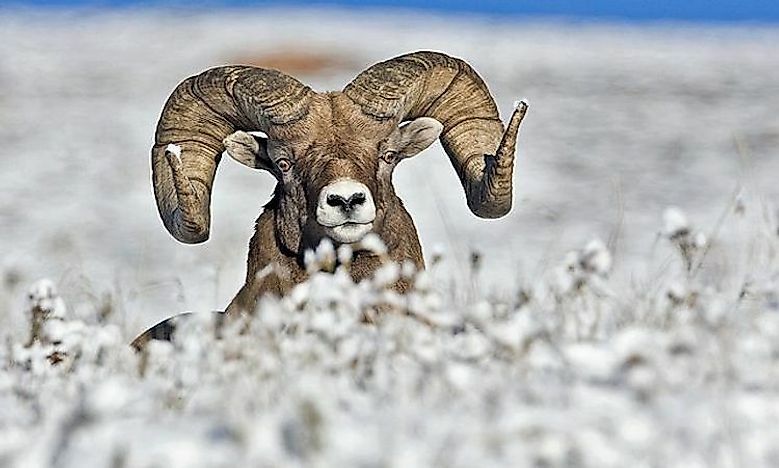 With conservation measures in place in the later decades, the population of the bighorn sheep gradually recovered. Today, a significant population of the bighorn sheep inhabit the canyon walls and rocky terrain. It is an amazing sight to observe the sure-footed animals climb, walk, and jump along the steep cliffs of the Grand Canyon. The Grand Canyon hosts 22 species of bats within its dark confines. The Canyon provides a protected habitat to these animals that are threatened in many other places they inhabit. Research is conducted in the Canyon region to understand the diseases affecting the bats in other parts of their habitat in North America. The mule deer are amongst the most common mammals sighted in the Grand Canyon, especially in the South Rim of the Grand Canyon National Park. Drivers are requested to drive at low speeds to avoid confrontation with the mule deer which often dart in front of cars. The elk are huge animals related to the deer family but much larger in size than most deer species. 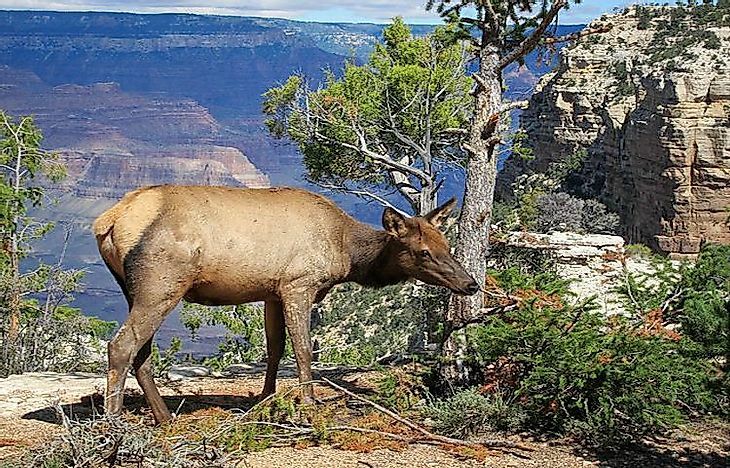 In the Grand Canyon habitat, the elk are often spotted grazing in the South Rim near Grandview Point’s forested areas and also at the entrance to the North Rim. 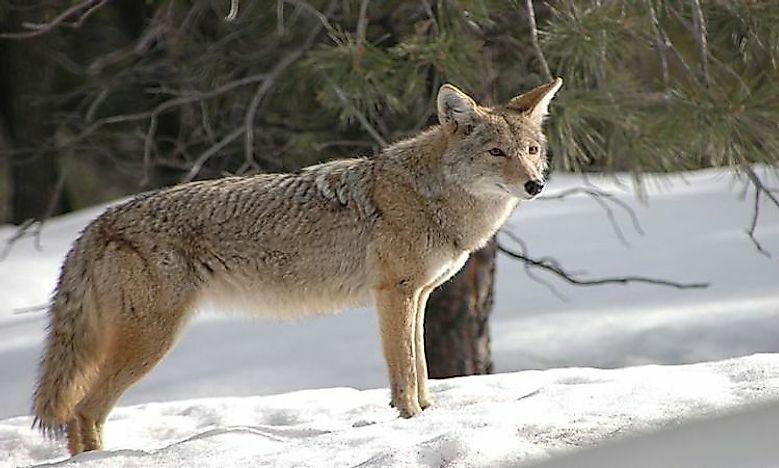 The coyote (Canis latrans) has a wide distribution and range in North America. The ability of the coyote to quickly adapt itself to human-modified environments reserves its position in the “Least Concern” list of the IUCN. Coyotes are a common sight at the Grand Canyon and can be seen inside the canyon as well as the top of the rims. Rodents and carrion acts as their primary food source. The coyotes even visit garbage containers and campsites in search of food. The Grand Canyon is home to a large number of powerful birds-of-prey. The California condor is the most noticeable among them. It is a rare bird that is on the endangered list of the IUCN. 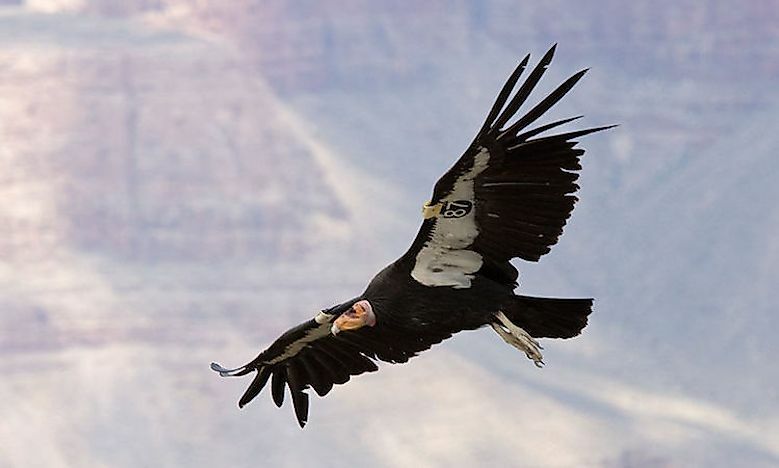 Captive breeding programs have helped recover the California condor populations to some extent. The Grand Canyon is one of the controlled territories where captivity bred birds are introduced. The bird has the largest wingspan among all birds of North America. The bald eagle, the national symbol of the US, also lives in the Grand Canyon. During winter, these birds can be spotted perched on trees by the riverside in the eastern canyon to prey on the surfacing fish. Black ravens can be seen in the South Rim of the Grand Canyon soaring above like raptors. Golden eagles, another fascinating bird, also dwells in the region where it soars high in the sky looking out for prey like small mammals. Peregrine falcons, red-tailed hawks, and turkey vultures are other notable avifauna species of the Grand Canyon. The Grand Canyon thrives with poisonous creatures with fatal bites. There are at least three species of scorpions living here. The most dangerous scorpion living in the Grand Canyon is the Arizona bark scorpion (Centruroides sculpturatus). Is is North America’s most venomous scorpion and its bite can cause excruciating pain in adult humans for 24 to 72 hours. 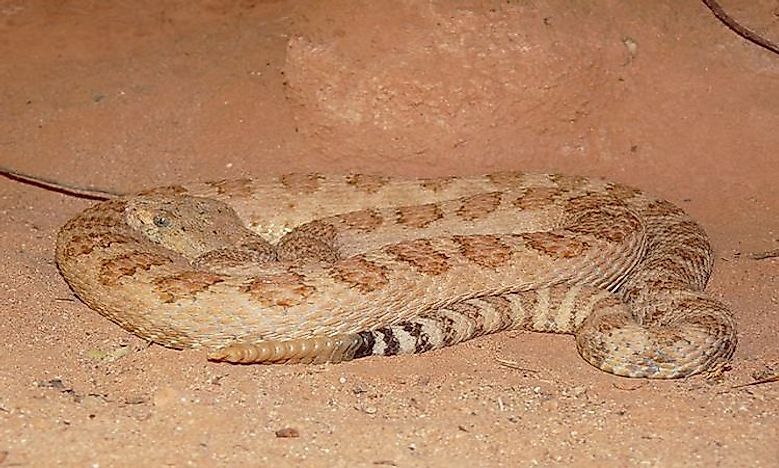 Temporary loss of breath, convulsions, and temporary dysfunction in the bite area can also accompany the envenomation. 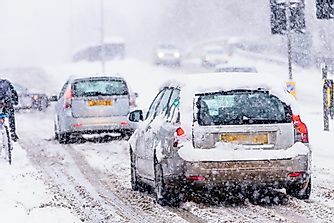 Death rarely occurs but chances are higher if the bite victim is a child, an elderly or an adult with a compromised immune system. Besides the Arizona bark scorpion, the Grand Canyon also hosts another deadly arachnid, the black widow spider. The venom of this female Black widow spider is more toxic than the prairie rattlesnake. These spiders build their webs in the dark corners and crevices of the Grand Canyon and are best avoided. 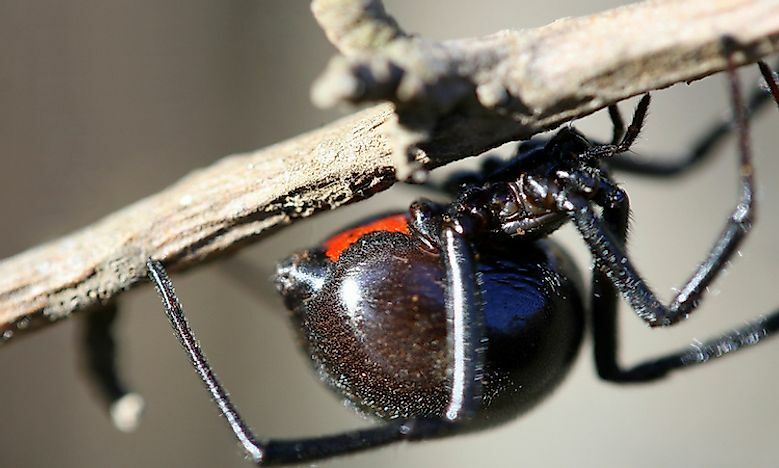 In extreme cases, female black widow bites can be potentially lethal. The Grand Canyon rattlesnake (Crotalus oreganus abyssus) is a venomous subspecies of pitviper that dwells in the Grand Canyon habitat. These snakes live in the dark depths of the Canyon where they feed on birds, lizards, and rodents. So, if you are hiking below the rim of the Grand Canyon, it is quite possible to hear the distinct rattle of the rattlesnake. 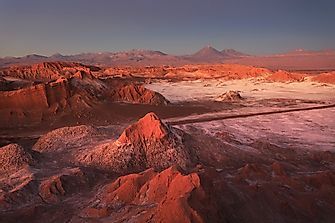 The pinkish color of the snake subspecies allows it to perfectly blend with the surrounding terrain. If left undisturbed, the snake hardly strikes at humans. 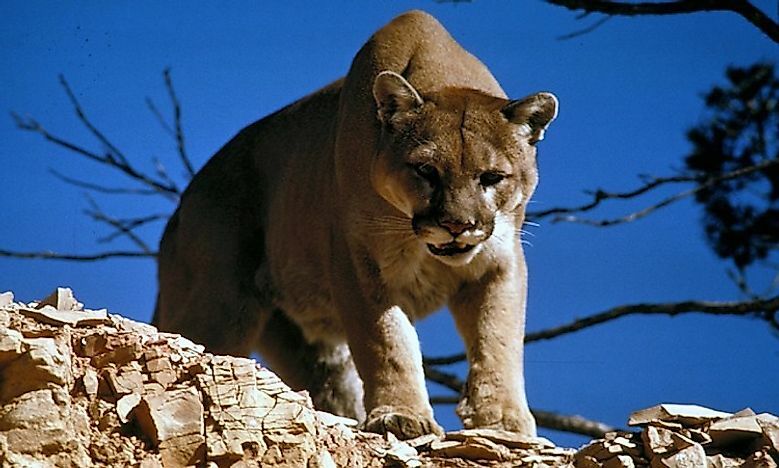 Mountain lion is the common name for the cougar (Puma concolor). It is a large felid native to the Americas and is the second-heaviest cat in the region after the jaguar. 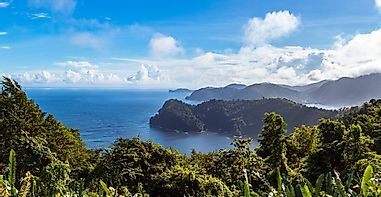 The animals are usually solitary and secretive by nature and hunt at night. Although rarely spotted in the canyon region, reports of these animals inhabiting the place exist.